Fusion is a free WordPress template with 2 columns (right sidebar), and fixed or fluid width. The theme offers beautiful and yet light and clean design and comes with a lot of functions built in, making it an incredibly flexible for any project. The theme is mostly white and grey with just a few graphic elements that add just about enough to make it look stylish without being too colorful or full of things. The Fusion theme fully supports WordPress 2.7 so you should not have any problems using it even with future versions of the platform. 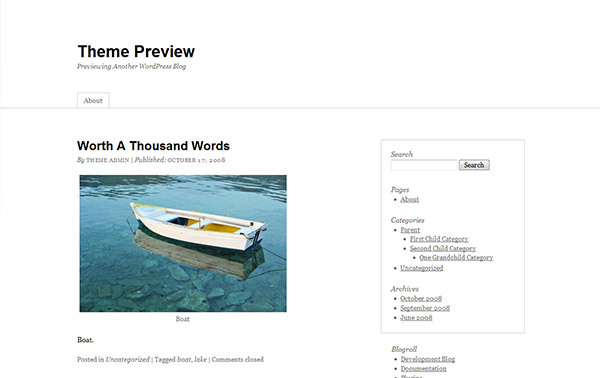 iNove is a lightweight WordPress theme inspired by MacZone.sk. It is very stylish, supports widgets and doesn’t require any additional plugins. The theme is mostly white and grey in colors with a techy looking header image and as little graphical elements just enough to make it look nice. 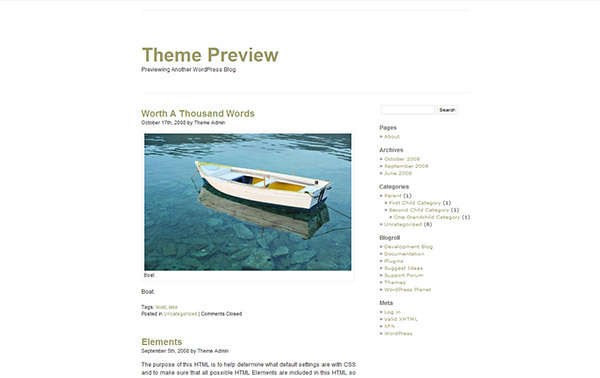 The iNove theme is easy to modify and to make it look and perform just the way your new blog project requires is. iNove requires WordPress version 2.5 or higher in order to work and doesn’t have problems running on the latest versions of the blog platform. 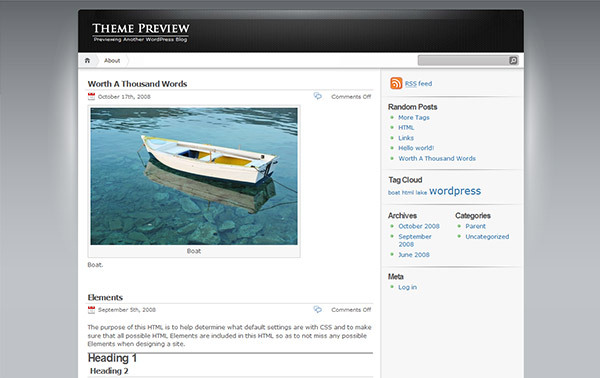 This is the ultimate in SEO-friendly theme for WordPress. Thematic is a highly extensible, WordPress theme framework featuring 13 widget-ready areas, drop-down menus, grid-based layout samples, plugin integration, shortcodes for your footer and a whole lot more. 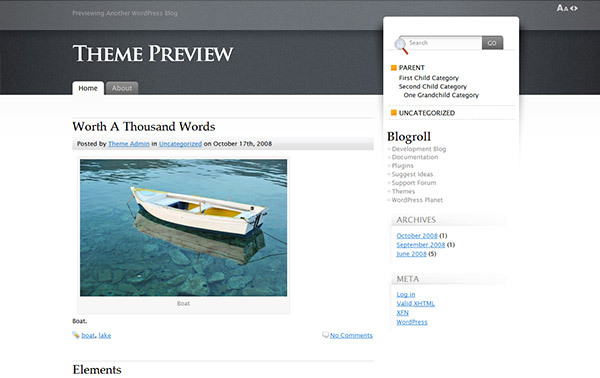 Perfect for any blog and the starting point for theme development, because of it’s clean and simple look. The minimalistic look uses just white, grey and black colors which make it very easy for customization and modification to suit your every need. The Minimalism is minimized and professional designed SEO-ready WordPress theme based on the famous Kubrick. It is compatible with WordPress 2.7.x and offers completely validated CSS and HTML code. The theme is highly extensible and ready for localization and customization, making it a perfect starting point for theme development.